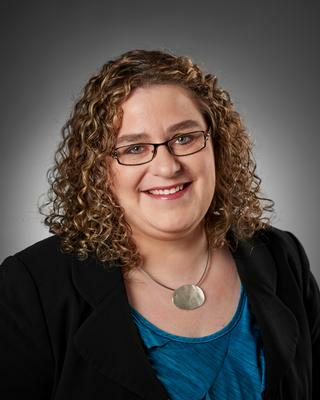 Brandi S. Kerber focuses her practice in real estate law, nonprofit law and corporate law. She advises clients in connection with all aspects of real estate transactions including development projects, commercial and residential sales and leases, cellular tower leases, commercial loan transactions, construction contracts, easement agreements, title registrations, zoning matters and lot splits. Brandi advises nonprofit organizations on a wide range of matters including organization, income tax exemption, property tax exemption, and sales tax exemption. She also represents closely held businesses in corporate matters as well as mergers and acquisitions. Represented a golf club and residential developer in a complex residential development transaction, including negotiating and advising on land use, tax matters, and negotiations with the local municipality including the development agreement, dedication of a portion of the property to the local municipality for park purposes, easements for irrigation and buffer maintenance, and replatting of the property. Advised a client during the purchase of property in Bloomington, Minn. for the development of an apartment complex, including negotiation of amendments to the declaration and organizational documents of the association, parking and access easements and obtaining lender consents. Advised client with respect to due diligence documents and 1031 exchange documents. Represented a client in the acquisition of a Bloomington, Minn. office and warehouse space, including resolution of complex zoning matters and negotiation of shared parking easements to meet zoning requirements. Reviews and negotiates all purchase agreements, leases, lease amendments, estoppel certificates and subordination and non-disturbance agreements for a national restaurant franchise. Negotiated the sale of a home health and hospice business, which allowed the ownership group to shed an unprofitable portion of its business. Represents churches, health care organizations, nursing home and assisted living facilities and other nonprofits in a wide range of matters, including applications for income, property and sales tax exemptions, review and evaluation of contracts and other legal documents, and real estate transactions. University of Minnesota, Carlson School of Management, Minneapolis, MN; B.S.